BannerML is an XML-based language. The BannerML description includes a description of tags, which structure information attached to the banner so that it can be placed directly in different fields in the user�s database. 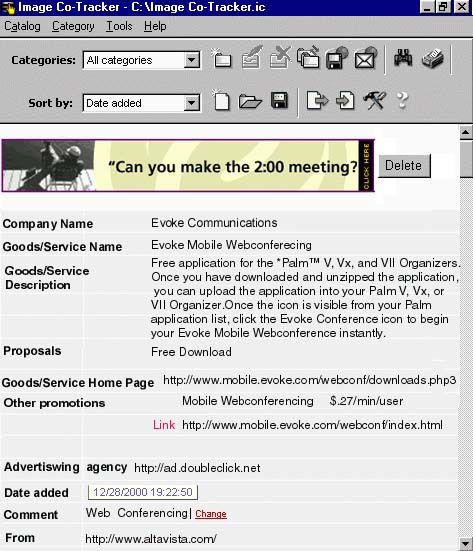 to begin your Evoke Mobile Webconference instantly. Click here to see this description in Image Co-Tracker interface.